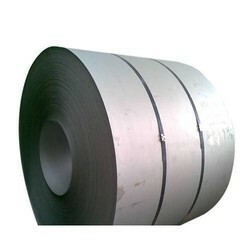 Providing you the best range of stainless steel coils grade 301, stainless steel coils grade 301l, stainless steel coils grade 304l, ss coil, stainless steel coil and stainless steel coils grade 304 with effective & timely delivery. 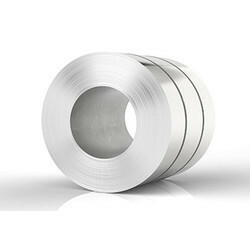 We are eminent and most special steel importers and suppliers to different types of industries of high quality SS 301 COILwhich are resistant to magnetic interference and are highly useful for electromagnetic appliances. These SS 301 COIL are made using separate coating of nickel which prevents them from developing magnetic properties. Our SS 301 COIL products require very less maintenance from rust and corrosion and can deliver long lasting performance in environments with high electromagnetic interference. Bhavyadeep Impex offers an unmatched range of Stainless Steel Coils. These are manufactured using premium grades of steel and in varied specifications. Bhavyadeep Impex comply with the prevailing industry standards and offer our clients coils that are dimensionally accurate along with high tensile strength. Our range is also made available in customized specifications as per the clients’ requirements. We are eminent and most special steel importers and suppliers to different types of industries of high quality SS 304L COIL which are resistant to magnetic interference and are highly useful for electromagnetic appliances. 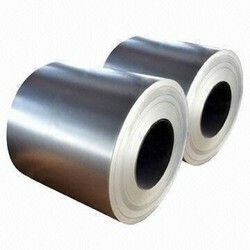 These SS 304L COIL are made using separate coating of nickel which prevents them from developing magnetic properties. Our SS 304L COIL products require very less maintenance from rust and corrosion and can deliver long lasting performance in environments with high electromagnetic interference. 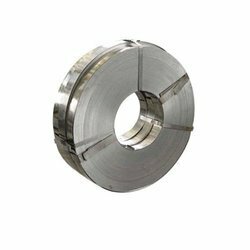 We are eminent and most special steel importers and suppliers to different types of industries of high quality SS COILwhich are resistant to magnetic interference and are highly useful for electromagnetic appliances. These SS COIL are made using separate coating of nickel which prevents them from developing magnetic properties. Our SS COIL products require very less maintenance from rust and corrosion and can deliver long lasting performance in environments with high electromagnetic interference. 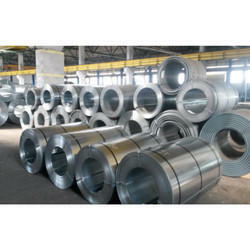 We provide a broad range of Stainless Steel Coils in the market. These are available in different dimensions and finishes. These plates are highly durable which allows hassle free functioning at client's end. These are available in the market at judicial prices. Our range is well known for corrosion resistance, durability and high tensile strength. 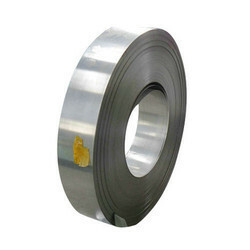 We are eminent and most special steel importers and suppliers to different types of industries of high quality SS 304 COILwhich are resistant to magnetic interference and are highly useful for electromagnetic appliances. These SS 304 COIL are made using separate coating of nickel which prevents them from developing magnetic properties. Our SS 304 COIL products require very less maintenance from rust and corrosion and can deliver long lasting performance in environments with high electromagnetic interference. In order to meet various demands of our esteemed clients, we are engaged in providing an optimum quality array of Stainless Steel Coils Grade 201. Price range may vary according to the steel grades. 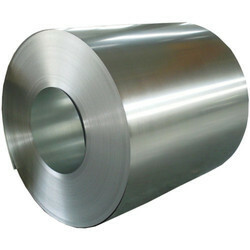 We are eminent and most special steel importers and suppliers to different types of industries of high quality SS 420 COIL which are resistant to magnetic interference and are highly useful for electromagnetic appliances. These SS 420 COIL are made using separate coating of nickel which prevents them from developing magnetic properties. Our SS 420 COIL products require very less maintenance from rust and corrosion and can deliver long lasting performance in environments with high electromagnetic interference. We are eminent and most special steel importers and suppliers to different types of industries of high quality SS 310 COILwhich are resistant to magnetic interference and are highly useful for electromagnetic appliances. These SS 310 COIL are made using separate coating of nickel which prevents them from developing magnetic properties. Our SS 310 COIL products require very less maintenance from rust and corrosion and can deliver long lasting performance in environments with high electromagnetic interference. We are eminent and most special steel importers and suppliers to different types of industries of high quality SS 316L COILwhich are resistant to magnetic interference and are highly useful for electromagnetic appliances. These SS 316L COIL are made using separate coating of nickel which prevents them from developing magnetic properties. Our SS 316L COIL products require very less maintenance from rust and corrosion and can deliver long lasting performance in environments with high electromagnetic interference. 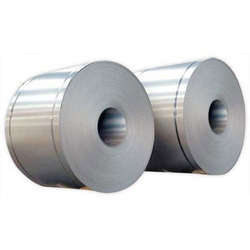 We are eminent and most special steel importers and suppliers to different types of industries of high quality SS 409 COILwhich are resistant to magnetic interference and are highly useful for electromagnetic appliances. These SS 409 COIL are made using separate coating of nickel which prevents them from developing magnetic properties. Our SS 409 COIL products require very less maintenance from rust and corrosion and can deliver long lasting performance in environments with high electromagnetic interference. We are eminent and most special steel importers and suppliers to different types of industries of high quality SS 430 COIL which are resistant to magnetic interference and are highly useful for electromagnetic appliances. These SS 430 COIL are made using separate coating of nickel which prevents them from developing magnetic properties. Our SS 430 COIL products require very less maintenance from rust and corrosion and can deliver long lasting performance in environments with high electromagnetic interference. We are eminent and most special steel importers and suppliers to different types of industries of high quality SS 316 COILwhich are resistant to magnetic interference and are highly useful for electromagnetic appliances. These SS 316 COIL are made using separate coating of nickel which prevents them from developing magnetic properties. Our SS 316 COIL products require very less maintenance from rust and corrosion and can deliver long lasting performance in environments with high electromagnetic interference.